The Whitefish Trail serves as a portal to bring people outdoors and provides the community a connection to the natural lands surrounding Whitefish. 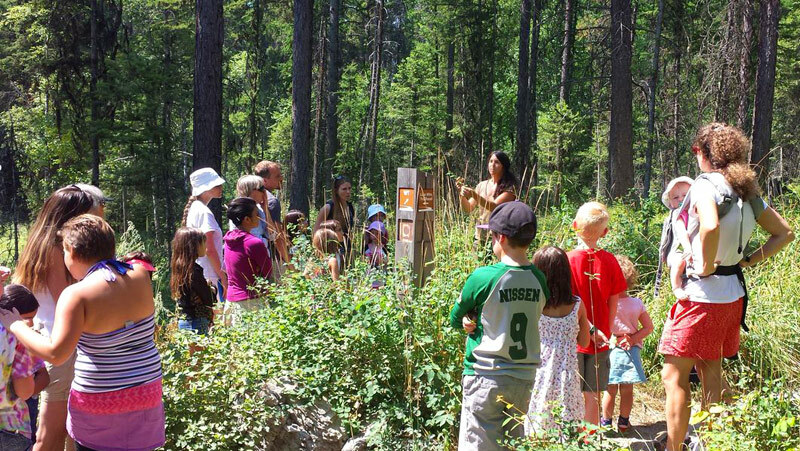 Whitefish Legacy Partners facilitates outings on the Whitefish Trail for all ages and strives to educate children and adults about conservation and the interwoven elements of a thriving forest: wildlife habitat, watershed health, plant life, and healthy forest management. Organized programs reach locals, visitors, and youth through school field trips, winter and summer guided hikes, youth specific activities, an adult speaker series and trail fitness programs. Programs based on the Whitefish Trail will provide a way for the community to learn about and explore the open lands surrounding Whitefish, and be a part of a conservation and recreation legacy for years to come. A base for environmental educational programs. Natural interpretive programs and outdoor recreation. Info and dates for our guided hikes series. Thank you also to many individual volunteers who have dedicated their time and professional knowledge to support education on the Whitefish Trail.